Wait, didn’t we just do this two weeks ago? 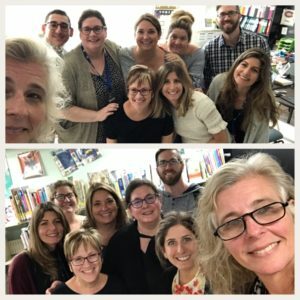 For our next tour, I’m going to give you a taste of what the cohort of teachers working with Silvia Tolisano (our OJCS DocuMentors) have been working on. Stay tuned! Well, as we head into our February Break with a Friday PD Day facilitated by our friends from NoTosh, this seems like a good opportunity to share out the amazing work our DocuMentors are doing. Which teachers are part of this cohort again? Ann-Lynn, Melissa, Shira, Bethany, Josh, Keren, Chelsea, Jon & Silvia. We are so pleased to have a diverse (grade level, subject & experience) group of new teachers (folk who were not part of the NoTosh Design Team; excepting Melissa, Keren & me) who are learning new paradigms, NOW literacies and innovative skills and practices which are not only impacting their work, but the larger work of the school. Don’t believe me? Well…let the tour begin! “Cohort 2018” has a home page where you can see summaries and insights from Silvia herself. 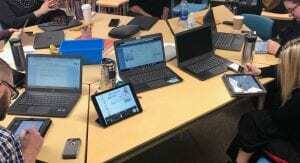 “Cohort 2018” has a landing page where you can get links to each teacher’s professional blog. That’s where the magic lies. 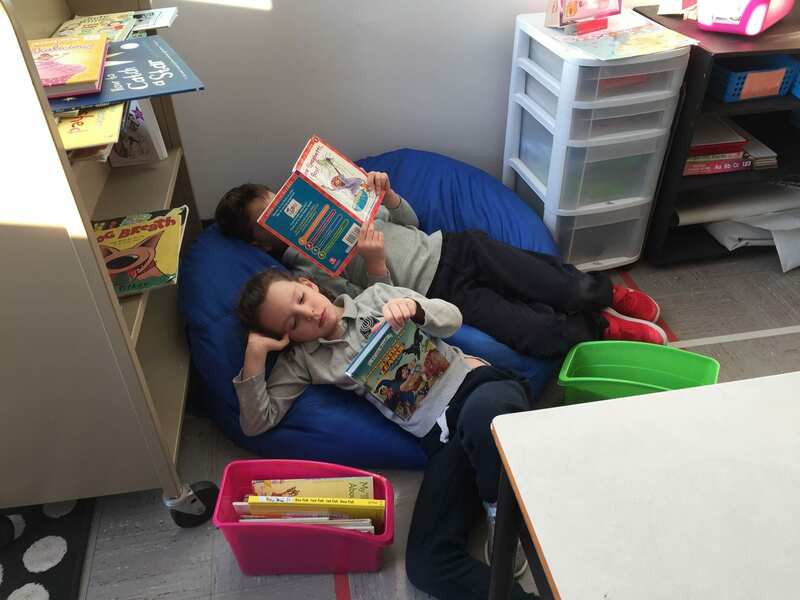 This week I asked myself, “Is the Daily 5 literacy framework allowing my students to achieve the ultimate goal?” Are they a classroom of highly engaged readers, writers and learners? Do they truly own their learning? As my Grade 2s completed their literacy block this past Wednesday morning and headed off to their next class, I remained in the empty classroom long enough to browse through my phone and look at some photos I had recently added. Were they just photos of compliant students doing what was asked of them, or did I have a classroom of students who now own their learning? 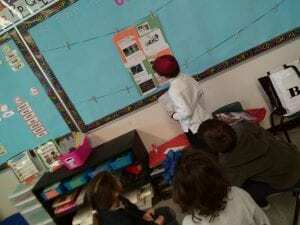 Let’s examine four components of the Daily 5 and the photos which I believe captured my students owning their learning. I will confess, if I did not take a few minutes to quickly walk around the room and ask questions, I might have deleted these photos, not truly understanding the evidence I possessed in my photo album. 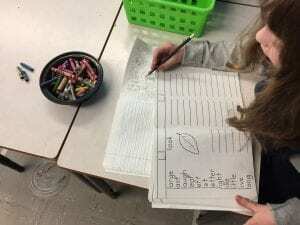 In the photos below, both students were working on their writing, yet neither student was getting their inspiration from a class list of topics. 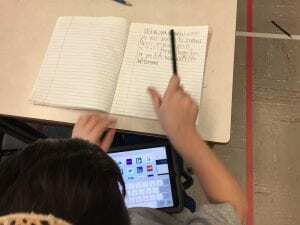 One was very eager to complete a biography on a famous basketball player, Kawhi Leonard and another student was busy completing a narrative on a special family event. 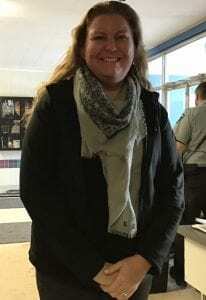 Yet a third student, who sadly will be leaving us in a few weeks, took this opportunity to write an account of her experience here in Canada for the past two years. Who owns the learning? They do! My students understand the importance of expanding their vocabulary. 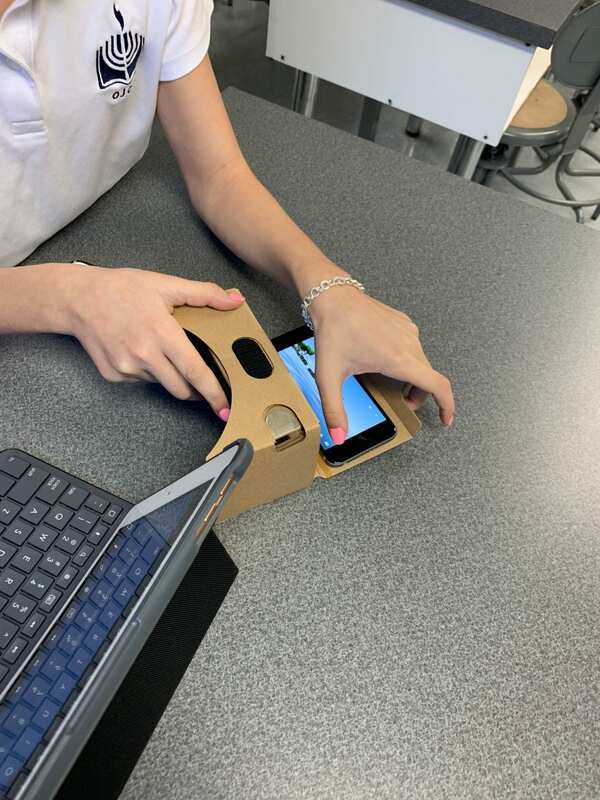 The photo below captures a student wanting to learn more and being self-motivated to do so. The student chose to spend our literacy block reading chapter 2 of our novel study “My Father’s Dragon”, stopping to jot down words she is unfamiliar with. 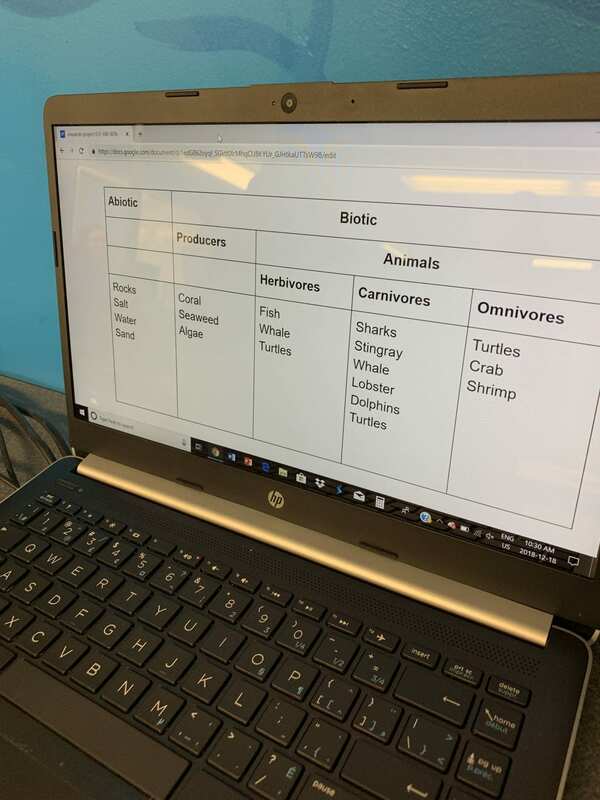 I know I am hoping to see these vocabulary words added to our live dictionary on Flipgrid. 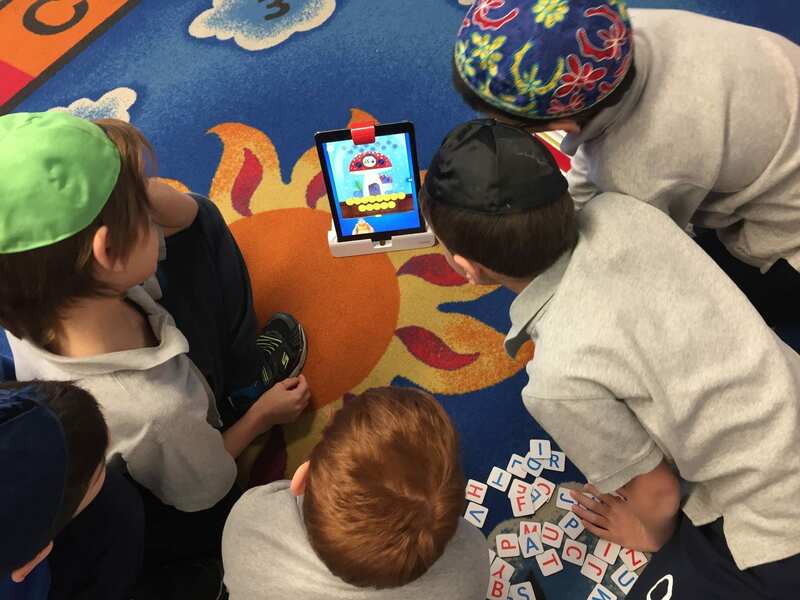 The group photo below is evidence of two things; an example of Win Win, and a group of students who chose to play the competitive level of Osmo words. Before the Osmo spelling game could begin, however, the students had to resolve a conflict, brainstorming a solution where everyone wins. Who owns the learning? They do! 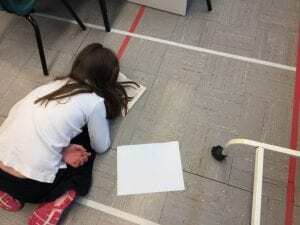 Finally, as all these wonderful things were taking place in my classroom, I had the opportunity to do some one-on-one conferencing with some students. Where were the others you ask? They took this opportunity to make a quick trip to the library to add to their book bins. They were using the Star Reading program to help them choose a “Just Right” book. This last photo in my post needs no words to describe what is taking place. But three words come to mind, highly engaged readers. 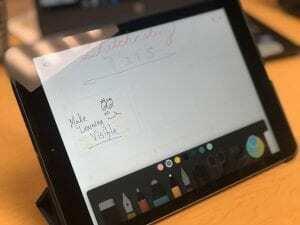 What is Sketchnoting? This is today’s topic on my learning journey with my cohort the DocuMentors with our in-house visit with Silvia Tolisano. Is drawing and doodling a story with pictures? Is it making my thoughts visible with symbols, pictures, arrows, ideas? Could this be a way I have my students take notes to enhance their thoughts and learning about how math concepts are related? Can I video/record the sketchnoting process (stop motion) to show my doodles and thoughts over time? How will sketchnoting change my learning? How will it change it and throw me to do something different? 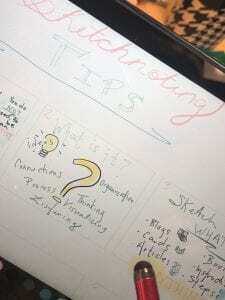 How am I going to take my examples and practices of sketchnoting and use it to sketchnote for learning? These questions are running through my head as we gear up to begin this new learning process. Opening up and getting ready to begin my first Sketchnote using the Paper app. They are doing so well! We are learning so much! …but…how am I feeling…this is going on too long…I’m feeling very uninterested…not by my lack of artistic skills (Tip #1 You don’t need to be an artist)…but I’m starting to tune out and not enjoy this process..but I’m hanging in there. What does this tell or say about me? Second, that as much as I am a visual learner…I’d much rather express my own thoughts through words to communicate my output. This makes me think to a colleague sharing their learning DNA. 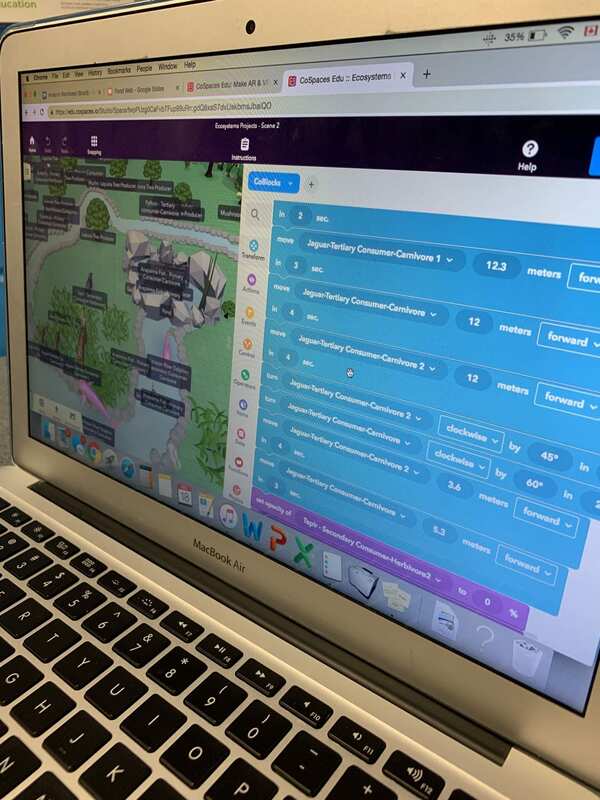 I can have more than one learning competency, and this means; so can our students! Back to more questions…now with some answers! would some of my students really enjoy this…YES! 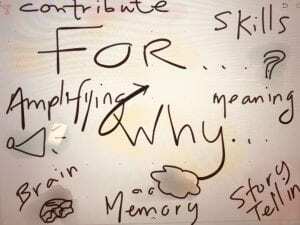 is it a skill that may be helpful and beneficial for some students to grow…YES! is this another avenue, tool, and skill to learn, and create from and with… YES! 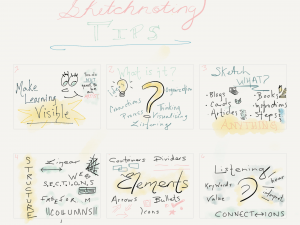 Sketchnoting For…. This is it! This is why I’m continuing to do this…through my personal frustration and disengagement: for the students! 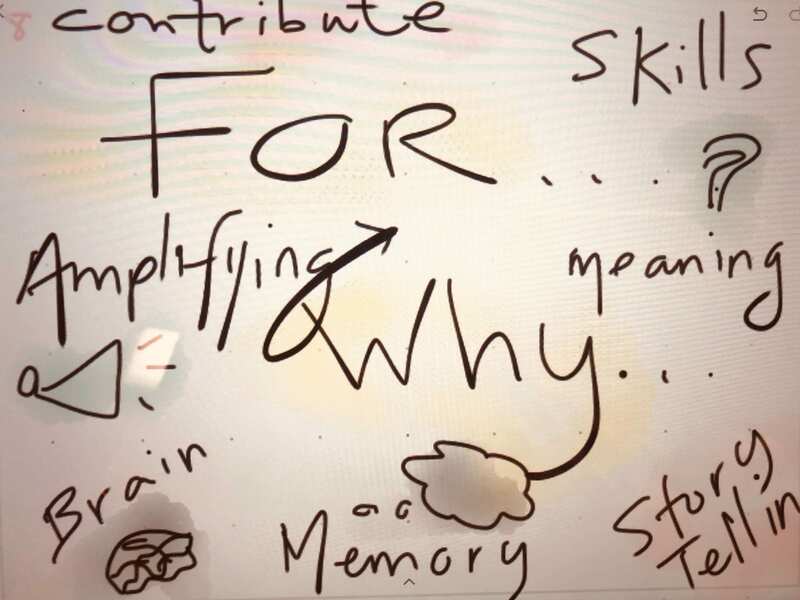 …to contribute, to give skills, to make meaning, to enhance memory, to tell a story, make connections, to reflect, to display content….to CREATE! I’ll continue to try sketching more…and provide an update of my progress. 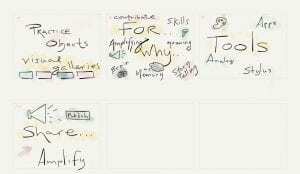 If you want to try to sketchnote yourself, I encourage you to try it out! If you’re looking for inspiration and ideas.. check out the following places and links. You may surprise yourself, learn something about yourself, and perhaps a new skill to surprise and encourage others! 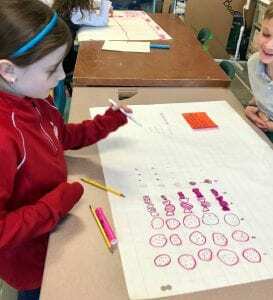 Today the Documentors were invited into a Grade 3 math class with the goal of making learning visible. The students were assigned open-ended multiplication problems, and demonstrated their knowledge of 1 or 2 digit multiplication, using pictures, words, and numbers to demonstrate their thinking. During the pre-documentation phase, I decided to focus on capturing the students resilience. How do they continue when they hit a barrier? What tools do they use? Do they persevere or do they give up? 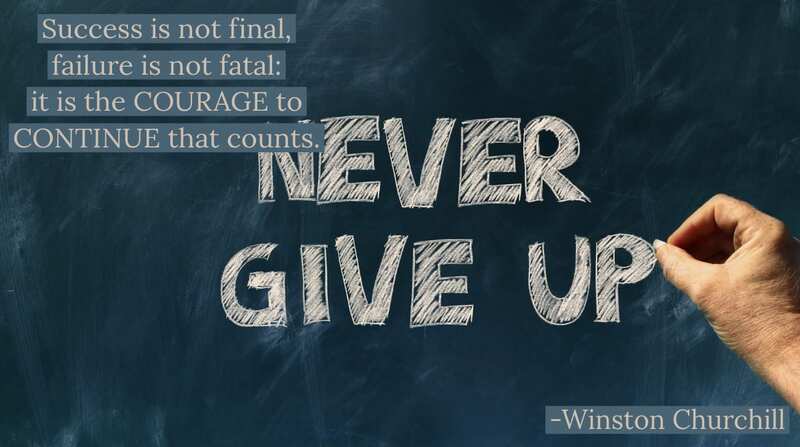 Resilience has been proven to be a strong measure of students success. This trait is also attached to one of our school’s North Stars…We Own Our Own Learning. The students were amazing! They were eager to get to work and tackled their problems with enthusiasm. Even with 9 extra adults in the room snapping photos, taking videos, and writing notes, they weren’t deterred. Even the first demonstration began with a student detailing how she began again as her first trial wasn’t working. Then they broke into groups of two and the work began. 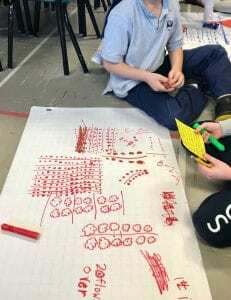 It was beautiful to see the students working together, listening to each others ideas, and using trial and error multiple times to figure things out. When some groups got stuck, they raised their hand for help or patiently waited for their teacher to come and support them. She reminded them to break the question down and use trial and error. They immediately got back to work. I observed students continuing to work to figure out what was missing. They kept trying even though it was hard, and when one group felt down, with a little encouragement they continued to work with enthusiasm. During the gallery walk we had a chance to ask the student leading questions. The resilience shone through in each and every group I spoke to. I want to share examples of Bethany, Josh, Melissa & Keren’s blogs as well – which I will do on our next tour – but you can view all their blogs by starting at the landing page and diving in. Do you see how excited our teachers are about learning? Can you imagine how exciting it is for our students to have teachers like this? We can! 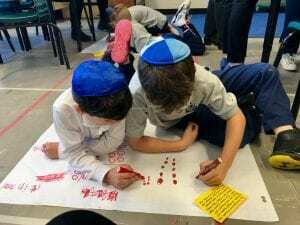 Because that is what life is (now) like at the Ottawa Jewish Community School. You know what? Enough about me! 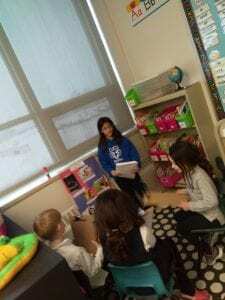 After all their hard work and preparation, Grade 3 presented their blog posts to Grade 1 and taught them about how to comment in an effective and meaningful way. 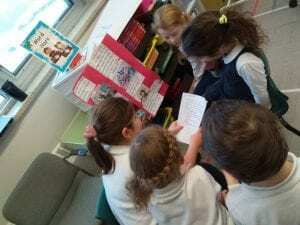 The grade 3 blogging group prepared a ‘stations’ layout and the grade 1 students were split into groups and visited each station. 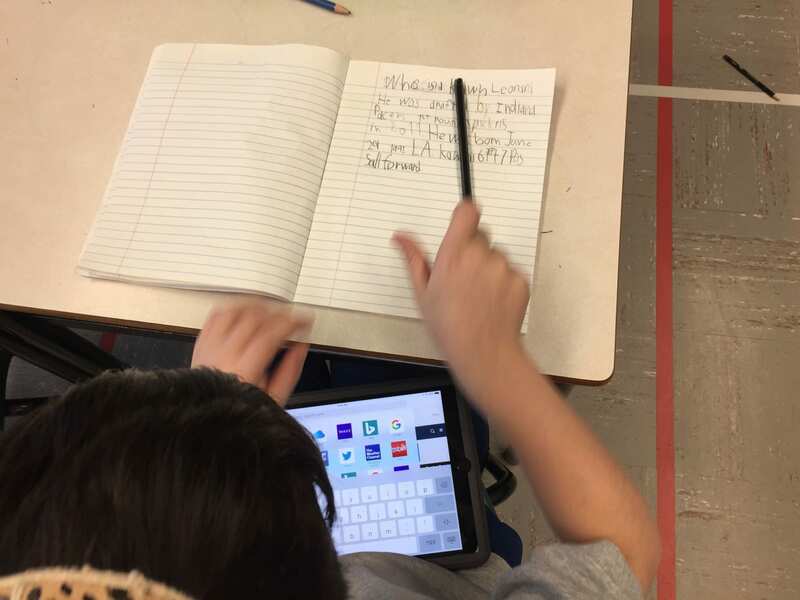 Upon arrival at each station, the grade 3 blogging group had prepared a speech, introducing their blog and how one may go about commenting. They shared rules and a model example, alongside comment sentence starters and comment boxes. Grade 3 even took the time to reflect and reply to the comments, responding to questions and developing answers. 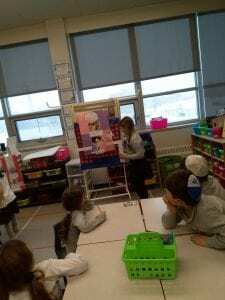 They were mini teachers in action, with their lesson plans, resources and differentiation. Well done Grade 3! And thank you Grade 1 for being such good commentators, we really appreciate your kind and encouraging words! Il fait tellement froid dehors qu’il a commencé à neiger à l’intérieur! Aujourd’hui en 5T, nous avons eu une bataille de “boules de neige» pour mettre en pratique notre nouveau vocabulaire! 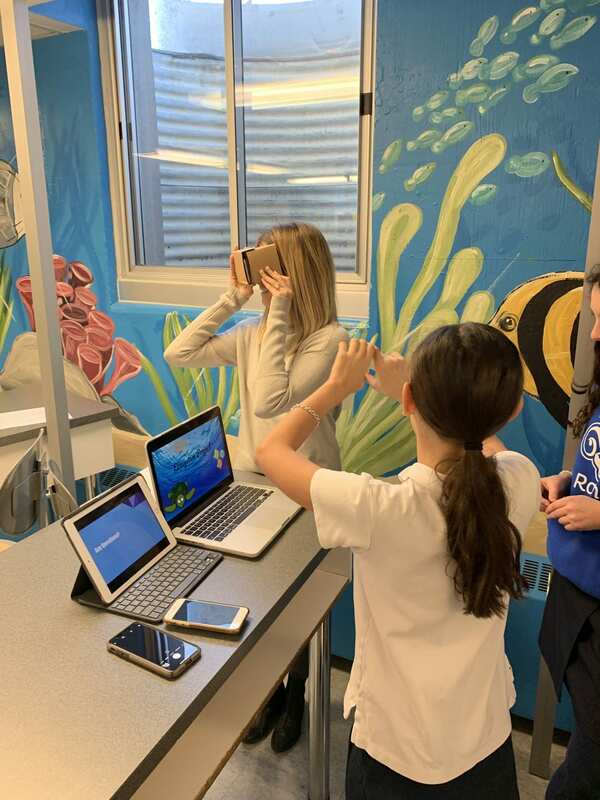 Grade 7 students building their communication, collaboration, digital media, researching, and coding skills as part of their CoSpaces Ecosystems presentations for judges. I hope you have fun looking at what Grade 4 did this week. Our class is doing the school reading challenge, and so far we have read 396 books. Our goal is to read 600 books. We might even have to make our goal higher. In English class we have been practicing our interviewing skills. This week we interviewed our reading buddies from Ganon on what they liked to do, their hobbies, etc…. We are going to be interviewing the residents of Hillel Lodge for an upcoming project. We also took part in a Research Workshop about using key words instead of typing long questions into Google. We have also been practicing our research skills in class too. In French, we have been working on a new unit. The new unit that we are working on is sports. 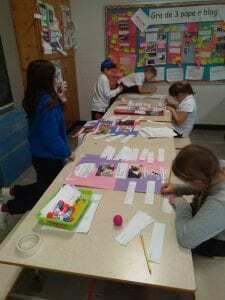 We have been doing a little project at home about an athlete. In Art, we have been doing a project about a fox. We will be putting the artwork in the hall of the school. 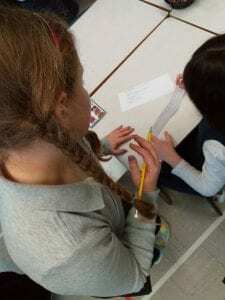 Today we did a special activity with Morah Ada. 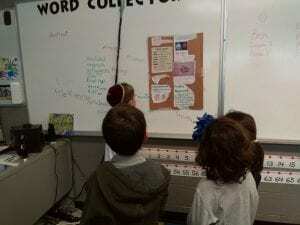 For ‘Ivrit Be’Kef (fun in Hebrew) Devorah (Joey) and Ma’ayan (Mia) translated a recipe to Hebrew and gave us the instructions of how to make the cookies. This is Mrs. Bertrand who helps us organize with all the Knesset meetings. I am the class rep for Grade Four, and I love going to all the meetings and helping organize activities at the school. Being a blogger was an awesome experience. It was hard taking the pictures during the classes because people were moving a lot. Putting it together on the blog taught me how to embed pictures and videos and learn how to type better and edit my work. I am looking forward to being a blogger again. I encourage you not only to check out all the blogs on the OJCS Blogosphere, but I encourage you to offer a quality comment of your own. Getting feedback and commentary from the universe is highly motivating and will help this snowball grow as it hurtles down the hill of innovative learning. In our first faculty meeting this week, members of our NoTosh DesignTeam share our “Prototype Process” with the rest of the faculty. This is not a flashback to a flashback! 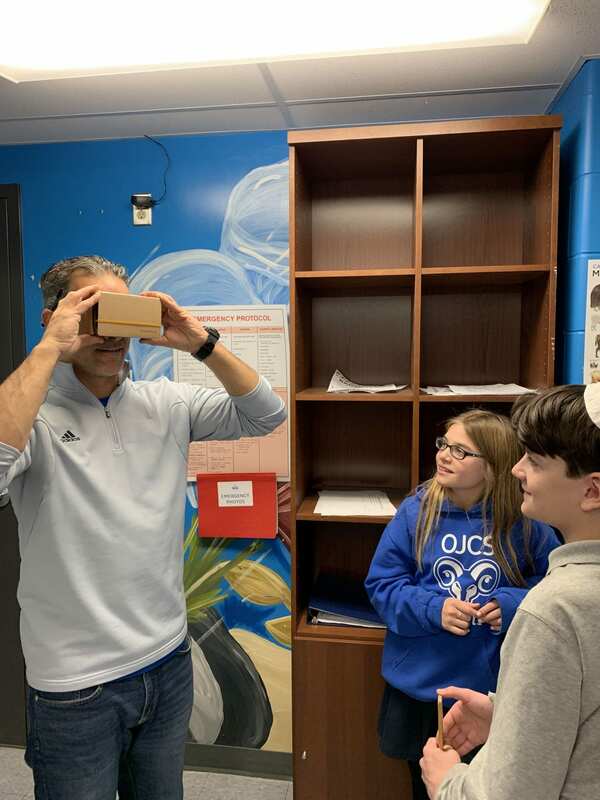 We are not reminding you of the $72,000 Innovation Grant we received from the Congregation Beth Shalom of Ottawa (CBSO) Legacy Fund to help fund some of the physical spaces we’ll need to continue to bring our innovative vision to life. We are also not reminding you of the $50,000 Innovation Grant we received around this time last year from an anonymous family which helped fund the transformational work we recently finished with NoTosh (which lives on this year in the many powerful prototypes presently being prepared for pitches to bring teaching and learning at OJCS into greater alignment with our “North Stars”), the opportunity to double our iPads available in the school, the exciting shift towards providing teachers with Chromebooks so they can collaborate more effectively and model what learning looks like, and beginning just this week, our work with this year’s consultant, who happens to be my friend and former colleague Silvia Tolisano, whose new book the cohort of teachers working with Silvia have begun to read. 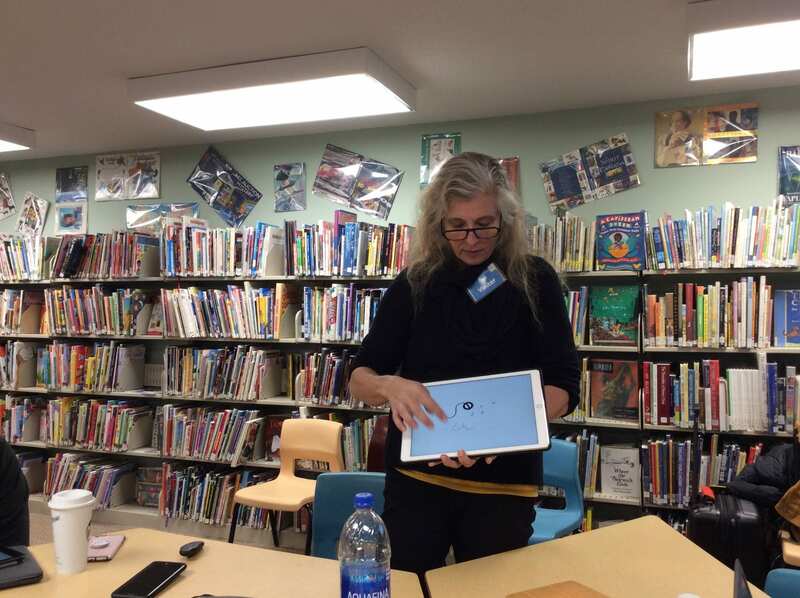 Silvia Tolisano beginning her work with a new cohort of teachers – and the full faculty – as we examine what learning is, where to find it, how to document it and learning to learn. Success begets success. Numbers beget numbers. A school in motion will stay in motion. The narrative of decline is behind us; the narrative of rebirth, revitalization and rejuvenation has begun. You can measure it objectively through numbers – attrition down, enrollment up, survey data trends, fundraising dollars, etc. You can also measure it subjectively – feelings in the walls, word on the street, buzz in the community, etc. You can measure it however you like. The outcome is the same. The OJCS is laying the ground to become the innovative leader in education in our community. And wow has that been true! With over 170 students and our largest Kindergarten class (28) in years, and all the other optimistic indicators I wrote about at the very beginning of the year, we are off and running. So what is going to keep us running to meet and surpass all our ambitious goals? A school is only as great as its teachers, and its teachers can only excel if they are given opportunities to engage in meaningful, sustained, personalized, professional growth. Twenty years of educational research shows that an investment in teachers is a (if not the) key lever in determining excellence and is among the few variables a school can completely control. Part of our recent success can be attributed to how we have raised the bar of expectations for our teachers while providing them with coaching, resources and support they need to reach new heights. 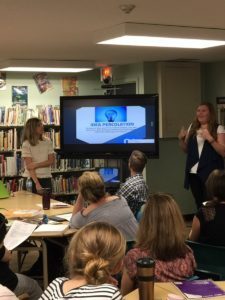 In the course of a single year, even our veteran teachers have found renewed commitment to lifelong learning and our new teachers are brimming with ideas. What unites them in bringing our mission to life is a comprehensive commitment to professional learning. At OJCS, we believe what is good for our students is also good for our teachers. 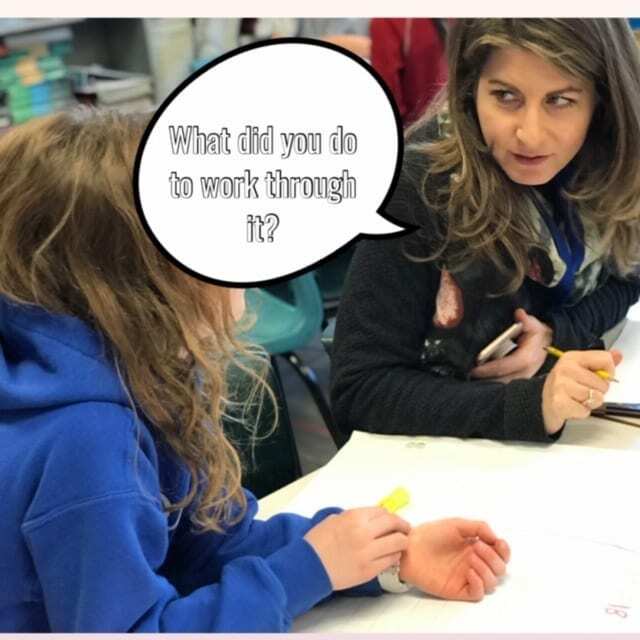 In the same way we recognize that students are individuals with their own learning styles and motivations, we acknowledge that our teachers can also benefit from a similar action plan. There are no “one-size-fit-all” approaches for meaningful growth. That is why, though still in its nascent stages, our goal is that each teacher has a well-developed individual Professional Growth Plan, developed in partnership with the administration and consisting of clear deliverables for mutual success. These plans then allow the administration to understand common needs and determine what outside resources should be made available to our faculty. 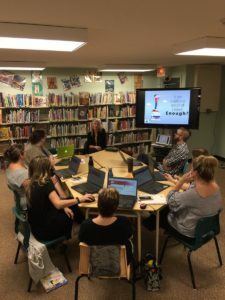 Professional growth at OJCS is achieved through a blended and customized approach with various elements, from participation in conferences, to purchasing individual books and learning tools. Thanks to the generosity of one amazing family and the ongoing participation of our partners at the Jewish Federation of Ottawa, this new gift of $165,000 over the next five years, the work will continue with customized development (e.g. webinars, conferences, site visits, etc. 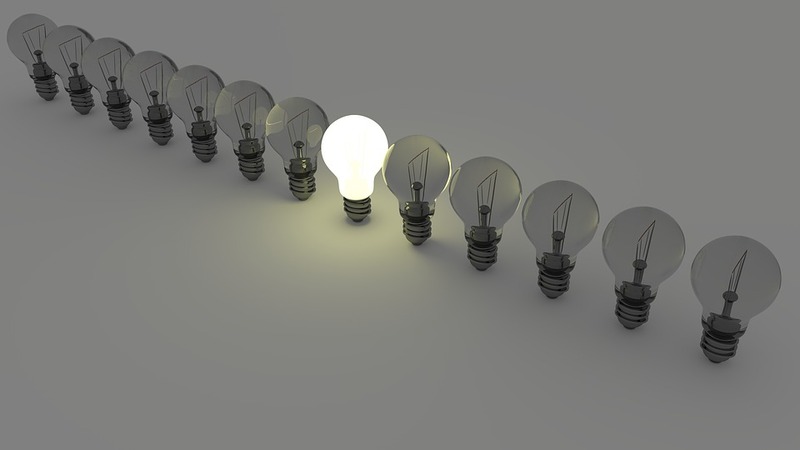 ), and the best practices learned from the consultants will be implemented. These are likely to include curriculum mapping and enhanced mentoring/coaching. 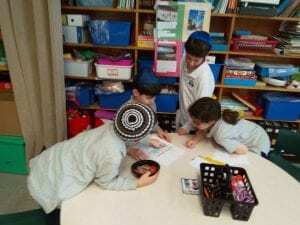 Examples include: providing opportunities for Jewish and French Teachers to further develop their skills as teachers of second (and third) languages; and connecting teachers of Jewish Text to coaches through Prizmah. For a school of our current and future size, an enhanced and sustained focus on professional development is required as a primary lever for future success. This extraordinary gift will ensure that the OJCS Faculty has access to the latest research, current trends, coaching, conferences and materials necessary to provide the Jewish children of Ottawa with an innovative, world-class education and help secure the future of our Jewish community.